The first thing you'll notice when you walk into Aloha Family Dental is the incredibly friendly and inviting atmosphere. Members of our staff have been hand-picked to provide you the best possible experience during your visit to the dentist. Learn more about our team below. She was born and raised in Orlando FL, a true Floridian. 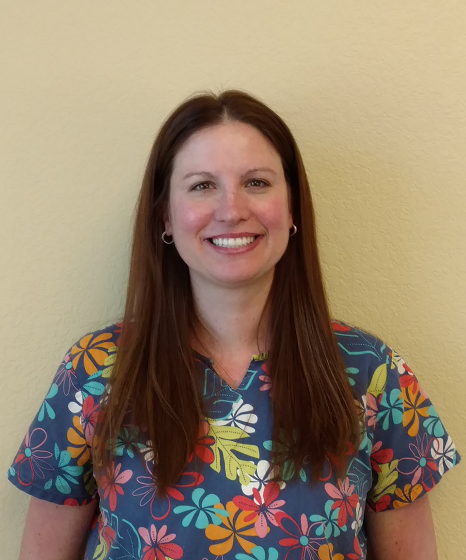 She started at Aloha Family Dental in 2008 and has 10 plus years experience in general dentistry. She makes our patients have fun and help provide a happy dental experience. Sometimes she will be seen at the front desk helping out. She is married with a daughter and had 2 dogs, Rocco and Bruno. She enjoys family time and walking her dogs. 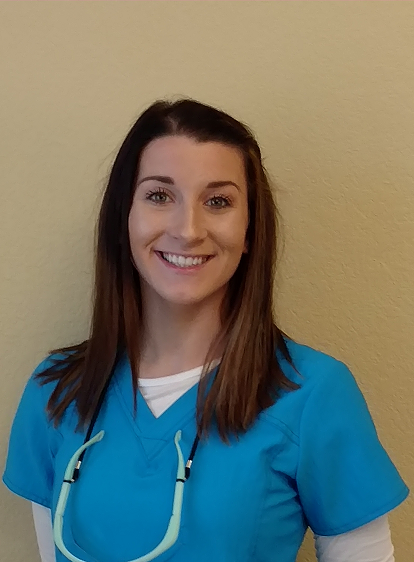 We would like to welcome and introduce Ashley, our newest dental assistant. She graduated from Macon County High School in TN. She is originally from Florida and moved back here in 2012. She has a daughter Amelia, who is her joy. She enjoys shopping, photography, visiting Disney theme parks, and is very creative. 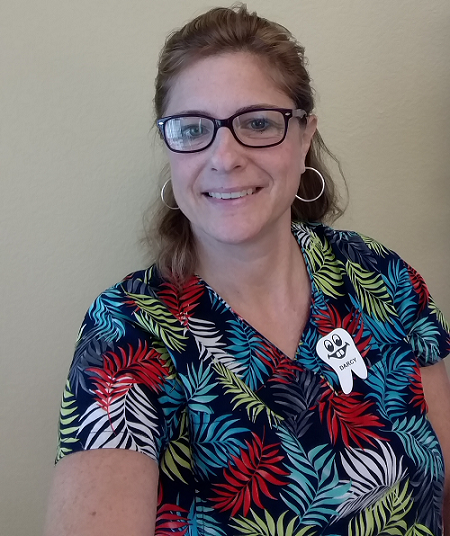 Darcy was born in New Hampshire, moved to Florida in 2013 and joined Aloha Family Dental in 2015 as office manager. She has 10 plus years experience in pediatric and general dentistry and has a vast knowledge of local companies and their insurance plans. She can help you receive your maximum available benefits. Darcy and her husband enjoy their 6 cats and are both big N.E. Patriots fans. She enjoys going to the beach, traveling, movies, dancing, cribbage, and spending time with her husband and cats.